Plastic bags are a plague. They can be found in just about every corner of the planet— in fields, trees, rivers, oceans and even in the stomachs of birds and sea creatures around the globe.They don’t biodegrade in landfills and almost every piece of plastic ever made is still in existence today.Enter Anita Ahuja, founder and president of Conserve, based in India. Anita has come up with a way to upcycle the plastic bags plaguing her region and also help numerous people find gainful employment. The result is Conserve’s stunning range of bags made from recycled plastic. We caught up with Anita to ask her a few questions about her fashionable eco-bags and her amazing enterprise.Please tell us a bit about Conserve. Along with support and encouragement from my family and friends I established Conserve, a non-profit organization in 1998 with a mandate to work in the area of energy efficiency and waste management. In 2002, Conserve started working on developing an alternative recycling or rather up-cycling process that uses abundantly and freely available bags as a resource for income generation for the urban poor through their conversion into a “renewed” material which we call HRP – Handmade Recycled Plastic.Conserve has trained people from urban slums of Delhi to process waste into recycled sheets, which is more energy efficient and environmentally friendly than conventional recycling processes. This process converts used polythene bags into a ‘renewed’ innovative material with significantly different properties and great visual appeal, without the use of any additional colour or dyes. Conserve’s process of recycling is far more environmentally and energy friendly than the conventional plastic recycling process. Moreover, it is very good for the environment as it uses existing everyday skills of local people. Now Conserve is supporting nearly 100 rag pickers and has about 50 employees working for them. An array of trendy and useful bags made from waste flex banners, plastic wire and woven plastic, together with cornstarch and newspaper, will now be available in the city on the occasion of World Environment Day.This eco-friendly initiative, ‘the beauty of recycling 2011 – freedom from plastic’, is being undertaken by city-based organisation eCoexist. The social enterprise will conduct an exhibition and sale of recycled products on June 4 and 5 between 11 am and 7 pm, at Fabindia outlets opposite Jehangir hospital and in Aundh.Apart from eCoexist, four other groups will display items made from recycled products. The articles will include mobile-holders, clutch purses, folders, shopping bags, laptop cases, wallets, pouches and shoulder bags, among others.ECoexist will display cloth and canvas bags, Thunk in India pvt ltd ( Bangalore) will display up-cycled plastic and fabric bags, while Varnajalam (Chennai) will exhibit up-cycled flex banner bags. Natur-Tec (Chennai) will present biodegradable corn starch bags, Tamasha (Ahmedabad) will display up-cycled woven plastic bags and the Rotary Club will exhibit newspaper bags.The added attraction will be a musical performance. The group will use percussion instruments made from junk to entertain the audience. There will also be a demonstration of crochet using waste plastic bags at the venue. Manisha Gutman, founder of eCoexist, said that the theme for the exhibition was freedom from plastic bags, understanding the problems caused by plastic and thus looking at biodegradable alternatives to plastic. The idea was to see how best this waste plastic can be re-used, so that it does not go to landfills. SWaCH, a cooperative of waste pickers working in the city, will demonstrate the various problems with plastic. Gutman said all these groups have tried to re-use discarded articles to make something productive. For example, the products from Tamasha have been made using plastic taken from the streets and fields in Gujarat. Each product is hand-woven by the women of Fatehpura, a small village in Gujarat, using the traditional handloom method and original patterns. On the other hand, Thunk in India pvt ltd has collected garbage from hotels, residential properties, IT parks and coffee shops in the city to make their eco-friendly products. Most of these groups are working for the underprivileged people. Thus, the exhibition also gives people the opportunity to help the underprivileged section of society, she added. Since then, Neha has remarkably raised almost $50,000 towards providing the 143 million orphans world-wide with educational resources, skill-set trainings, food, clothing, and health cares. 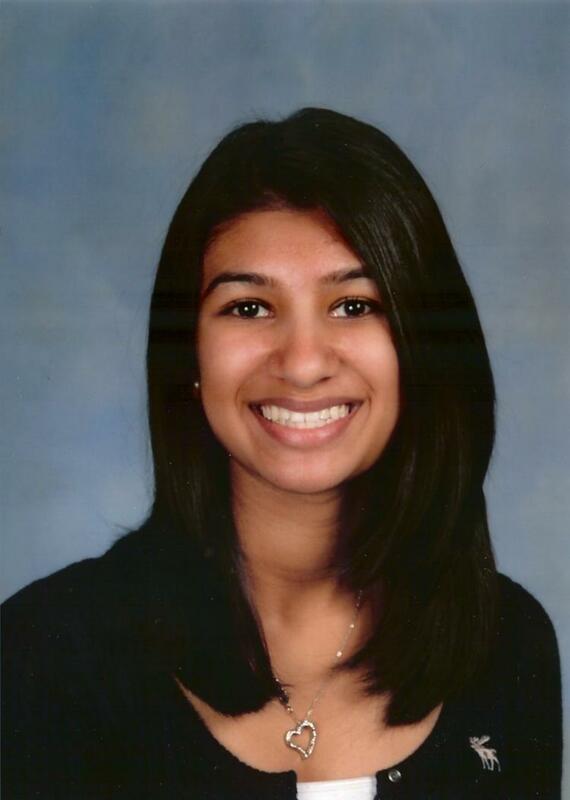 Now a freshman at Pennsbury High School, Neha continues to expand the reach of the organization. With mature goals and an overall well-thought out perspective on life, it’s so easy to forget that Neha is still only 14 years old. Check out more about Neha and Empowering Orphans in our interview below. How did you come up with the idea to create Empower Orphans? What drew you towards specifically helping orphans? As my grandparents live in India, I often visit the country. In keeping with family tradition, we volunteer at an orphanage each time we visit my grandparent’s hometown, located in northern India. When I was nine years old, I realized that the 200 children who live at the orphanage did not have adequate money to gain a proper education; I felt very sad when I heard this because I know the importance of education. Moreover, it was heartbreaking for me to think that these children had no mother or father to guide them, protect them, or love them. Instead of internalizing these feelings and merely showing empathy for the orphans and disadvantaged children, I decided to take action by raising money. The money would help the children gain a better education, be able to stand on their own feet, and ultimately become positive contributors to society. You created Empower Orphans at just 9 years old. How old are you now? I am 14 years old now. How has working with the organization shaped your life since you founded it? The experiences, fulfillment, and happiness which I have garnered by making a difference in the lives of orphaned and disadvantaged children, is incomparable to any other experience or gift that I may have received. First, I have gained confidence, the skill to effectively communicate with people and marketing experience. In order to persuade and convince people to buy wine charms or greeting cards, or join my organization and/or support it, I have had to make a compelling case; usually, with complete strangers. I have also had to give interviews with professional media personnel. In the beginning, I was exceedingly nervous when I had to cold sell or speak with strangers about my cause. However, I have overcome my nervousness and am now comfortable with these activities. Dealing with rejection and persevering despite it, has been another big lessons for me. I used to get discouraged when people turned me down, but now I know that success does not come easily, and that one has to have the tenacity to keep at it. I recall a time when my friend and I went around her neighborhood selling wine charms. We returned home after 3 hours, our bodies numb from the cold, with only $5 in our money box. Furthermore, gaining financial skills has also been part and parcel of the process. As a part of making and selling wine charms and greeting cards, I have had to understand the concept of cost of goods, profit and loss, etc. at a very early stage. I also operate a bank account for Empower Orphans with the assistance of my parents. It is also imperative that I organize and manage my time – juggling school work, sports, and social activities along with activities related to Empower Orphans. Civic responsibility is another area of growth for me. I am an only child and within reason, get what I want. However, working with the orphaned and disadvantaged children has opened my eyes to just how fortunate I am and have noticeably become less materialistic since I started Empower Orphans. The poverty and the challenges faced by these orphaned and disadvantaged children are unimaginable and it is the responsibility of each one of us to give them a chance to improve their lives. You balance school, your family, the charity, and all of the incredible press you’ve received so gracefully at such a young age. What is a typical day like for you? I am currently a freshman at Pennsbury High School and going into High School was a big change. My day starts like the day in the life of any other high school student – getting up at an unearthly hour to catch the school bus at 6:40am. Depending upon the day, in the evening, I have homework, and either tennis (I am on the High School Junior Varsity Tennis Team) or other school activities. Additionally, I baby-sit to collect funds for my charity. Weekends are extremely hectic with work for Empower Orphans since I plan out future activities, respond to press interviews, or make wine charms. In the evenings I typically call India to find out about the condition of the children. But, weekends are also time for me to hang out with my friends, go shopping, or go to the movies. How does the balance between growing up in Yardley and visiting your grandparents in India affect your outlook on life? Would you say it has given you a different perspective than many of your classmates? There is a vast difference between living conditions in Yardley versus that typically found in India. India is still developing its infrastructure and there is a big disparity between the rich and poor. During our vacation, my parents and I typically travel to India (for the charity work) as well as to another country to experience a different culture, food, and language. These travels have exposed me to how other people live, but also the suffering in the world, which many others may not have seen at my age. You’ve completed so many amazing projects within the organization already. Which Empowering Orphans achievement are you most proud of and why? I have positively contributed to and directly impacted the lives of over 2,000 orphaned and/or disadvantaged children by providing them with the means to an education and healthcare. These actions affect not only the child, but the child’s family as well as society in general. As I sponsor the education of children, the family does not have to utilize their very limited resources in supporting the child. The community as a large also benefits by my efforts, as these children are able enter into gainful employment as they grow up and become positive contributors to society, rather than entering into a world of crime and prostitution to earn a living. Started three libraries at disadvantaged schools and provided approximately 10,000 books to these libraries. Started a computer lab with 4 computers, printers, and internet access. Started a Sewing Center for older girls at a school for disadvantaged children. Furthermore, I donated 30 sewing machines to graduating girls enabling them to start their own business and stand on their own feet. Started a science lab for disadvantaged children. In future years, this lab will be expanded upon. Conducted a four day Eye and Dental Clinic for 360 children. 56 children received advanced eye care, while 103 children received intensive dental treatment. Sponsored the education of 50 children – sponsorship will be continued through to completion of an undergraduate degree. Provided nutritious food, school bags, shoes, warm clothes and blankets to about 2000 children. The proudest moment for me has been to watch the first class of girls at the Sewing Center complete the course, establish their own business, and begin to make a living. To watch the transformation occur, beyond doubt made the tremendous effort that goes into Empower Orphans worthwhile. My great-great grandmother’s autobiography Reminiscences –The Memoirs of Shardaben Mehta (translated by Purnima Mehta Bhatt), has had a tremendous impact on my life. It exhibits how an ordinary Indian woman was able to achieve the unheard of and bring about radical changes at the turn of the twentieth century, through sheer determination, tenacity, and perseverance. 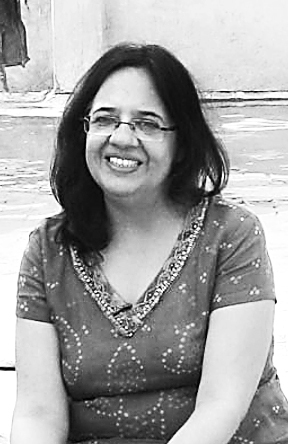 In her writings, Shardaben describes her childhood, and her innermost feelings and emotions. Despite considerable opposition from society, Shardaben and her sister became the first women graduates of Gujarat, a western Indian state, which marked the beginning of her lifelong commitment to women’s causes. Leveraging her position in society, she started several educational institutions; founded training centers for widows so that they could earn a living, started child care centers enabling women to work, and established cottage industries across Gujarat. Shardaben also had the unique opportunity to work closely with prominent Indian political leaders such as Mahatma Gandhi, Jawaharlal Nehru, and Sardar Patel, and was intimately involved in India’s fight for freedom from the British. Additionally, she created opportunities for other Gujarati women to also participate in the freedom movement. Being just an ordinary woman in India, she made great strides in empowering women and fighting for the rights of her country. For this I greatly respect her, and have found her to be my prime t inspiration. Another inspiration that makes me want to keep helping these orphans and disadvantaged children, is knowing that everything I do for them puts a smile on their faces and makes an impact in their lives. I envision expanding Empower Orphans into a truly global organization with children around the world helping other children better their lives. In India, once an orphaned child turns 16, they have to leave the orphanage and fend for themselves. With minimal education, these children are not equipped to earn a basic living and subsequently, the potential of their slipping into a life of crime or prostitution is high. To break this cycle, my short-medium term goal is to establish Technical Schools which will focus on teaching technical skills (electrician, mechanic, lathe operators, tailors and seamstresses) to both the orphans as well as other disadvantaged children. Equipped with skills to earn a decent living, these children will be able to stand on their own feet and hopefully become positive members of society. How has the local community responded to Empower Orphans & how can they get involved? My efforts would have been to no avail were it not for my family, friends, the community (both in the US and in India), and the media. My friends accompany me in door to door selling, and also manning tables during craft shows and garage sales. The community has been tremendously supportive, purchasing wine charms and greeting cards, and through generous donations. The media has been greatly instrumental in facilitating my efforts by spreading the word. Articles published in print and interviews aired on radio and TV about Empower Orphans has led to people making donations and encouraging our efforts. I have also received funding through several grants that support social causes. Eighteen year Priya is a student,writer,innovator, environmentalist,artist,social worker, youth leader, change maker, and a state, national and international award holder in the field of environment protection and community service and working for the betterment of the world. Writing is her passion since my childhood. She began to write for school magazines and news papers when she was ten year of age and continued her writings. While writing and going through various news reports she found that the due to over pumping of water for drinking, irrigation, domestic, commercial and agricultural use the underground water level of various states like Punjab, Haryana , Himachal Pradesh and other states of India is going down at an alarming rate which has created a serious threat to the underground water resources. She realized, if nothing has been done to stop this, it will have a devastating effect on our environment and earth. Protecting water sources is vital to conservation of all species which are extincting very fast. Keeping in view of gravity of the situation she has innovated useful techniques of rainwater harvesting to increase the underground water resources which is useful to the entire world. The innovative techniques/ideas given in her project “Increasing Underground Water Resources” has been recognized by the Govt. of India, UNEP and organizations worldwide. The useful eco-friendly innovative techniques are Funnel System, Polythene cover System, Less Water for Plants-Growing plants in sand, gravel, liquid without adding soil, Pits/ recharge well system and other useful ideas in to save water resources. These techniques/ ideas suggested in the project are universally applicable, globally novel, non-obvious, cost effective, eco-friendly, utilitarian and can be applied anywhere in the world to save precious underground water resources in the world to preserve water for the future generation and to save the earth and environment to become a desert. we are also trying to eradicate plastic bags, cups glasses etc.